Indian expats looking to send money to their friends and families back home can expect to only receive between INR178 and INR182 per Omani rial, foreign exchange traders in Oman have said. The Indian rupee climbed to INR178.35 on Thursday, and is expected to stay at about this level for the next couple of months, according to currency experts. 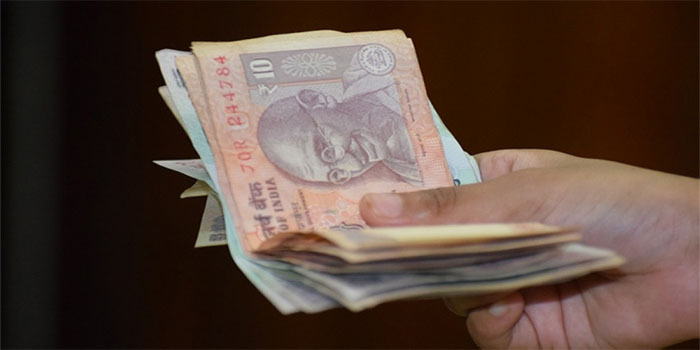 PK Subudhi, the General Manager of Mustafa Sultan Exchange, explained that the Indian Rupee had picked up because economists and market researchers expected current Prime Minister Narendra Modi to be successful in the coming elections, which are scheduled to be held between 11 April and 19 May 2019. “The most important thing that the market is factoring in is that Modi will be re-elected. That is one of the major reasons for an inflow of more interest from foreign investors in the Indian market,” said Subudhi. “Until such time as the elections are over, I expect it to stay this way”. “When the market was factoring in the oil prices, the rupee was being adjusted accordingly, but we have recently witnessed a puzzling phenomenon: despite the oil prices holding high at about $66 to $67 a barrel, the rupee is still holding high” Other reasons for the strong upswing in the Indian Rupee are the selling of US dollar stocks by banks and exporters in India, as well as policy decisions taken by the Reserve Bank of India – the country’s financial governing body. R Madhusoodhanan, the CEO of Global Exchange, an exchange house in the Sultanate, explained this to Times of Oman. “The banks in India have sold their dollar stocks, and exporters also thought that the rupee was going to appreciate, so there was large-scale selling of their stocks,” he said. “In addition, some inflow has come from the Foreign Institutional Investors (FII), and they are some of the biggest drivers of the Indian economy.” “This means that the stock market in India has appreciated. They have pumped in money into the Indian stock market. Because of this, demand for the dollar has decreased and the supply has increased,” he added. “These three reasons explain the appreciation of the Indian rupee.” PK Subudhi said, “ It is true that the Indian rupee has appreciated a lot. There are two to three things to it: the major thing is that the Indian stock market is currently attracting a huge amount of FII inflow. This means that there is definitely an inflow of dollars, and this has led to appreciation of the Rupee. “The Reserve Bank of India also took some decisions to swap their US Dollars with the Indian Rupee, and they did this because sometimes, they want to have stability in the market and want to observe the dollar flow into the country,” added Subudhi.